For those of you, owning garment washed, pre-washed or stonewashed bed linen a question of how to take a proper care for your linen may arise. Let’s clear it up today. Just a quick reminder for others – pre-washing is a term used to denote that linen bed linen (or table linen, or towels, o garment for that matter) had been laundered. Pre-washing (or stone washing, or garment washing) means a premium finish. The advantages are the locking in of colour, the softening of the fabric and nice shabby chick look. The most recognisable benefit is that all the stiffeners that could be used in manufacturing process have been washed away leaving the stone washed bed linen soft and nice feel. Taking care of your stone washed linen bedlinen is no different from the care you take of all other linen home textile. 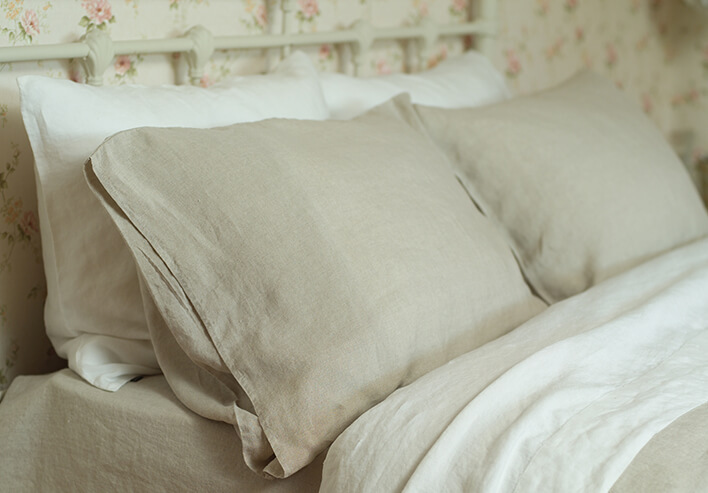 Your linen bedlinen can be machine washed, line dried or tumble dried on a low heat. Pure linen bedding responds especially well to washing it becomes even softer, more absorbent and more luminous over time. What you should pay attention to is what washing agents you want to use. Detergents that contain bleaching agents are advised for white linen but should not be used for washing colored linen as it can result the discoloration or spotting. For colored linen bedlinen only bleach-free detergents should be used. Pure soap or gentle detergents are the best, especially in soft water. Never use chlorine bleaches as it can lead to the damage to the fiber. Oxygen-type bleaches can be used for white linen laundering, but any bleach should be avoided bleach when washing colored, or embroidered or stonewashed bed linen. Use water-softening agents if your water is hard, especially for darker-colored linen. Allow plenty of water to wash and rinse as linen is very water-absorbent. Mild water temperatures are the best although in many cases often high temperatures are allowed – check the care instructions on the label! Too high temperatures may lead to fabric shrinkage. 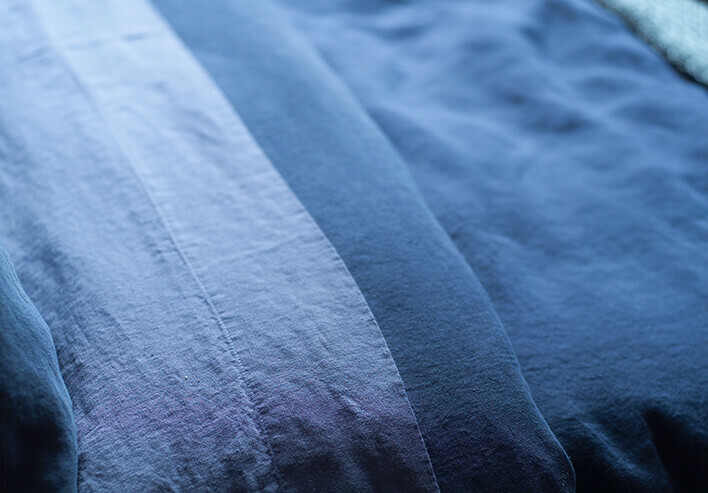 Always rinse thoroughly your pure linen bed linen in plenty of water to remove all soap, detergent and residual soil and prevent the formation of the so-called age spots due to the oxidation effect. Try to avoid wringing out your stone washed linen bedlinen heavily, as it doesn’t enjoy being twisted. It can be tumble dried on low heat, but remember to always remove your linen while it is still slightly damp. For white linen bedding it is best to be dried in direct sun, as this will freshen and brighten it. Iron or not to iron? Stone washed bed linen has this distinctive shabby chick look that comes from its soft texture and light crumples. 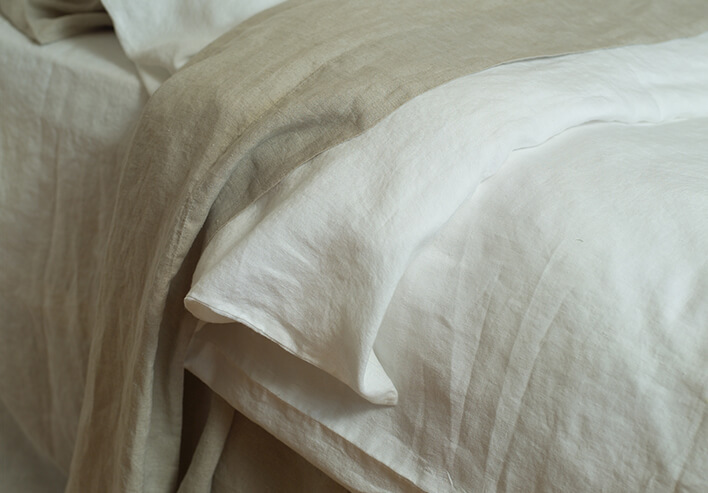 This and modern weaving techniques lead to the fact that pure stonewashed linen bedlinen looks and feels great without ironing. With a minimum amount of proper care, pure linen bed linen will last a lifetime and can be passed from generation to generation. Provided a few simple rules are followed, linen will remain in pristine condition for years, through normal household use.